Critical incidents , such as the 2014 Lindt Cafe siege in Sydney, evolve rapidly, are inherently ambiguous and may be challenging to define. When they include significant novel aspects  (in their scale, complexity or unprecedented nature), they morph from routine emergencies to crises  and are unlikely to be resolved using precedent-based approaches. Novelty can be identified by the anomalies that occur when a routine solution proves ineffective or results in an unexpected outcome. The coronial inquest  into the Lindt Cafe siege demonstrated the level of scrutiny that police commanders can expect after a critical incident. This places great pressure on them as they try to manage government and community expectations, which are based on responses to traditional emergency situations that aren’t relevant to the novel problems confronting them during a crisis. One approach to enhancing performance in such environments is to better integrate technology-enabled decision aids like mixed reality into police command. Police commanders should ideally have the capacity and cognitive ability to frame complex problems and imagine solutions . They need  to make high-consequence decisions  in temporally constrained environments, during times of great uncertainty. This requires significant cognitive effort as they seek to gain situational awareness and consider possible actions. Time constraints alone  can reduce the cognitive resources available to commanders for critical decision-making, which can be further diminished when they’re required to consider highly complex tactical options and authorise the one they believe to be most appropriate and likely to succeed. Technology can help to reduce constraints and optimise the commander’s cognitive resources by reducing the need to mentally interpret data and simulate outcomes. However, most law enforcement agencies are still primarily operating in an analogue paradigm. Despite exponential increases in the volume of information available to commanders, including real-time video and data streams, the way the information is processed, analysed and presented to them isn’t yet fully optimised. A commander can be overwhelmed by the volume of data, further reducing their ability to make time-pressured  decisions. Emerging mixed-reality  technology has the potential to revolutionise police command and control and to better prepare  agencies for future challenges. Mixed-reality headsets , which immerse the wearer into a digitally represented scene, could enable commanders at different locations to simultaneously view an incident site, rendered as a 3D image, to rapidly develop situational awareness. They could thus be more fully briefed on options to resolve the incident, including tactical ones, suggested by those on the scene. They would no longer be required to interpret information presented in a 2D format and would be able to use more of their cognitive capacity  for decision-making. Police commanders often mentally simulate  the likely actions of offenders before authorising police actions, such as a tactical assault to rescue hostages. War-gaming  scenarios are thus tools in decision-making. 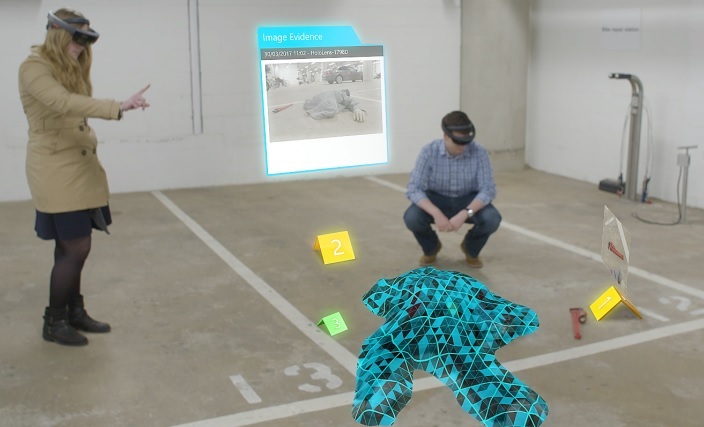 New artificial intelligence (AI) technologies, such as artificial neural networks, combined with mixed reality, could allow resolution options to be played out and evaluated, taking into account what’s known about the offender’s skill set. While AI is faster than approaches such as red-teaming , it currently suffers from potential biases. Research is now underway to address algorithmic bias , and law enforcement agencies will need to ensure that any AI system they use to support command decisions is built using non-biased training data. Command is a core police capability that needs dedicated investment in the selection, training and continuing professional development of those who are to command. Any tendency to reduce that investment and become over-reliant on guidance from AI systems, effectively removing the human  from decision-making, should be resisted. Key decisions made by police commanders at critical incidents will be subject to comprehensive review after the event. Ideally, this creates an opportunity to learn from the incident, while providing the transparency expected by the community. It’s well recognised that the public’s confidence and trust are integral to policing, and high-profile public inquests, especially those by a coroner, can influence that trust. Such investigations can suffer from hindsight bias —a factor clearly acknowledged by the inquest into the Lindt Cafe siege. The use of mixed-reality devices has the potential to mitigate some of those impacts on public trust. Each incident in which the technology is used by commanders could be digitally recorded, including imagery and conversations. Members of a review team could then use the technology to examine the points at which key decisions were made. They would be embedded in an environment where they could see and access only the information that was available to the commander at the time of the event. This may provide clearer insight into the rationale behind police commanders’ decisions and enable commanders to be better prepared for future critical incidents. The challenges facing police commanders are likely to increase in complexity and scope as global strategic trends  continue to influence the local operational environment. Those in charge of the training of current and future police commanders should examine the potential benefits of mixed-reality technology. Simon O’Rourke is a police inspector and a senior fellow at the Harvard Kennedy School of Government. Edited image courtesy of Microsoft.